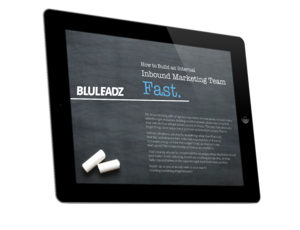 Inbound digital marketing is, by far and away, the best marketing opportunity around today. Still, inbound can rarely do it all for small businesses. It takes a serious commitment in time as well as the willingness to learn and continuously improve. Anyone who tells you an inbound marketing plan will revolutionize your business right away is trying to sell you something – literally. A well-structured inbound marketing plan takes about three months to really bear fruit, so you should have other marketing ideas at your disposal. It might sound old-fashioned, but you’ll unlock a lot of opportunities for your company if you always carry business cards. They are the perfect way to remind potential clients to follow up once they’ve gotten interested in what you do. That’s why they’ve been around so long! As marketing ideas go, business cards are fairly inexpensive, even if you go with the fancy kind. If you’re concerned about making sure your cards get acted on, there are plenty of neat printing techniques you can use. A well-designed business card can be truly beautiful, including things like a metallic finish that helps them stand out. Social media is the ultimate tool for generating buzz online on a shoestring budget. However, you have to be thoughtful about how you implement it. For example, organic reach on Facebook is notoriously low, but it’s a worthwhile place to foster a community of current customers. To get new customers, you definitely want to focus on a service like Twitter, where every post you share to your followers appears in their feed. B2B enterprises will generally have the most success with LinkedIn, either by publishing content or by using InMail. Email marketing takes a little bit of setup. Since the cost usually scales with the size of your subscriber list, however, you can get started for $20 a month or even less. Actually sending an email is free, and you can learn a tremendous amount from how people respond to them. Merchandise can be purchased in bulk from companies specializing in promotional items. These custom goods include your company name, logo, URL, and email. The pen is the most traditional of all the marketing ideas here, but there are now hundreds of others. Including a little piece of clever merch when you meet someone or send direct mail is the ideal way to make a lasting impression. When you strike the right balance with something unusual, yet useful, you’re much more likely to stay in a prospect’s mind. It takes time and effort to get value from a website, but the site itself doesn’t have to be too costly. Yes, partnering with a top digital marketing agency like Bluleadz means making an investment, but what about when your business is at an earlier stage? When you are just starting out, just having a website is better than having a perfect website. This is especially important because the sooner you get helpful, informative content out on the web, the sooner you’ll start to rank for searches relevant to your business. Free content management systems like WordPress won’t serve your site’s needs forever, but they can get you started in a way that’s simple, sustainable, and avoids some major design mistakes. Then, you can move on to a more formidable web presence with an agency’s help. Service-based businesses like plumbers and electricians tend to get a lot of business from the free advertisement their trucks are always carrying. Even if you have a totally different kind of company, you can make a tremendous impact with marketing ideas like this. Of course, the most compelling vehicle branding comes from an eye-catching custom paint job you just can’t ignore. That takes time and effort, though. You can get a popping new finish for your car, truck, or van using custom magnetic decals that usually cost $50 or less. Scattering flyers everywhere you go has a tendency to produce disappointing results, but that’s not the case when you use table tents targeted to the interests of another business’s customers. Small cafes and restaurants are most likely to encourage table tent partnerships on their premises. 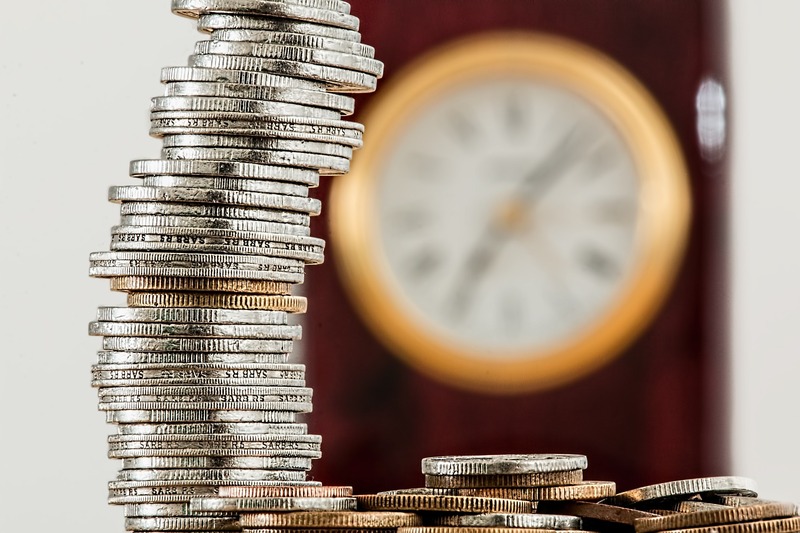 This usually involves paying a small sum to the proprietor or making another mutually beneficial agreement, but it can cost much less than other forms of advertising. Dental offices, day spas, and other practices with waiting rooms sometimes accept brochures and fliers from local businesses too. While these won’t have people beating down your door, they are much more likely to get read in the slow-paced environment of a reception area. Sure, holding a charity event will mean investing in a good cause. 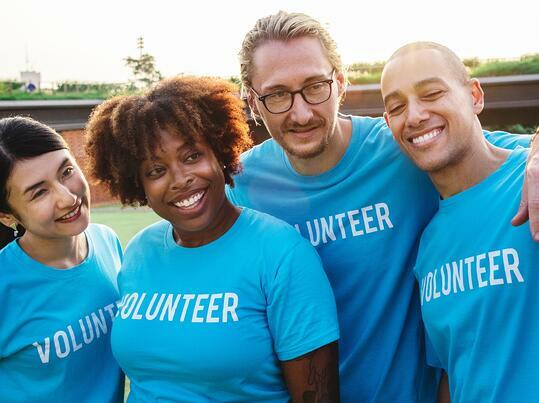 Some types of charity events can also be complicated to plan and manage. Still, the relationships you build in the community are likely to be much more valuable than your upfront investment, especially long-term. B2C and B2B consumers alike are often on the lookout for firms that help them live their values. This is especially pertinent at times when price or features don’t strongly differentiate B2B offerings. A day of cleaning up the streets or serving the homeless can help you forge important bonds. Plus, you can create opportunities for others to volunteer and do good work too. Networking events are an inexpensive form of community outreach that can create valuable, long-lasting relationships. Not only could you find your next major customer, but you might make contact with a valued future employee or another type of business partner. If you truly add value, participants will be interested in reciprocating and getting involved with you in the future. It might cost as little as $100 to co-sponsor an existing charitable event, but it’s worthwhile. You’ll be able to communicate the essentials of your brand story with a banner or other sharp marketing collateral. Plus, you get the chance to have representation at the event, so you can start generating that all-important rapport: You never know where it might lead! This is a terrific step for smaller businesses. It also works very well in B2C. In many industries, trade shows aren’t quite as groundbreaking as they used to be. They still offer some undeniable value, but they’re no longer the solution for developing new relationships with your future key accounts: That distinction goes to inbound marketing. Even if you don’t have the cash to invest in a booth or swag, you can still get a lot of value from the right industry get-together. 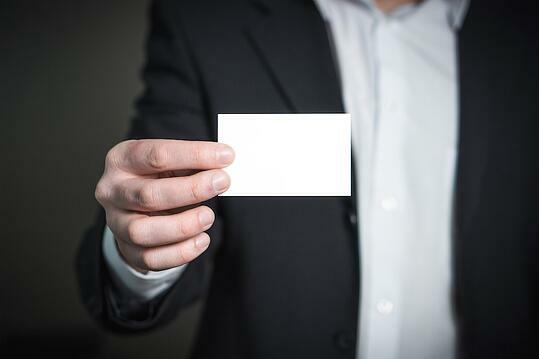 Remember the role of the humble business card, for example. You can position yourself as a thought leader by blogging and using social media strategically. Check out the event’s social media guide, if any, so you know its branded hashtag. Marketing takes a while to catch on, but it’s well worth your time. The sooner you get started, the sooner your efforts will start attracting qualified leads. These marketing ideas will help you spark that fire and augment your digital marketing.